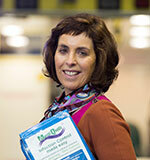 Dr Anne Cusack is the co-founder and managing director of Critical Healthcare Limited. The company strives to be the first choice for Emergency Medical Professionals. It is an Irish company offering a comprehensive range of emergency medical products and SAAS to the pre-hospital market, & ambulance service providers in Ireland, and more recently, the UK and Europe. The success of their SAAS offering first led to Critical Healthcare winning a contract with the National Ambulance Service in 2013 to implement Medlogistix across all 102 ambulance stations in Ireland. That was followed by contracts with Dublin Fire Brigade and the Irish Coastguard, but that was just the beginning. As part of their continued expansion, a number of brands have been at the core of their strategy and launch into international markets, Duramedic, MediLinen & MEDLOGISTIX. The key to Critical Healthcare’s success has been their ability to respond quickly and efficiently to their clients’ changing requirements. Critical Healthcare was the only Irish company to be listed on the NHS Framework Agreement for medical consumables by the NHS Ambulance Procurement Group in 2016. Critical Healthcare is committed to working with emergency service providers to bring innovative products to market and already has a reputation for market disruption with Medlogistix, a business intelligence software package, which incorporates e-procurement, stock management, and a reporting dashboard, all backed by a managed service for a traditionally manual paper-based sector. Critical Healthcare employs 22 people throughout Ireland, the UK & Europe, supplying product to over 3,000 ambulances through Medlogistix, our online procurement platform. Anne and her team have won numerous Awards including the SFA Innovation Award 2013 and the IMSTA (Irish Medical and Surgical Trade Association) Best Services Company Award 2014. Most recently, Critical Healthcare has been asked to participate in the Enterprise Ireland Competitiveness Campaign. The business is continuing to grow at over 20% annually and the focus for 2018-2020 is Mainland Europe.